More supple and flexible than the original ESP Anchor Rig Tube this Tungsten material hugs the bottom, and follows its contours more like a Leadcore Leader. The material is extra-tough and slightly elastic so it can be stretched out to remove any coiled memory. With a central bore of 0.65mm which is big enough to accommodate heavy reel lines or shock leaders, but fine enough to leave little room for trapped air in the tube. Protects, masks and streamlines knots, joints and swivels and has a multitude of carp rig uses. 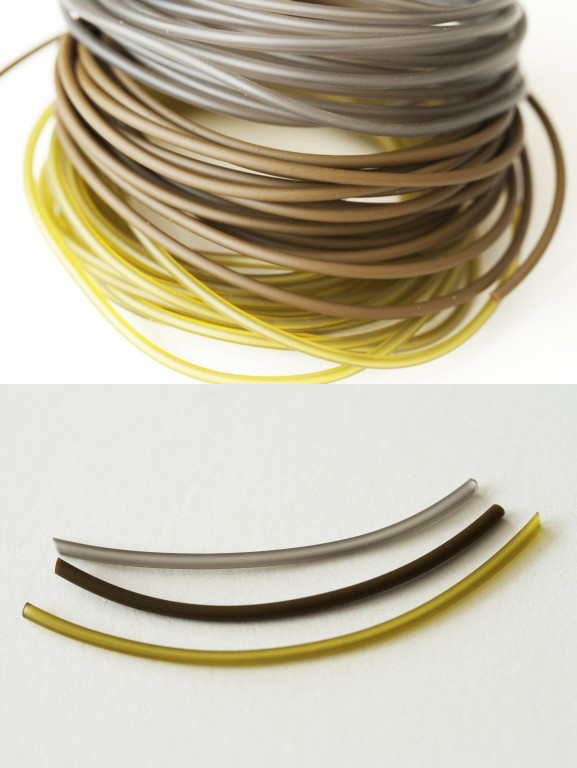 Available in 2.5 metre lengths in Medium 1.75mm diameter. Ultimate line protection Ideal for snag and weedbed fishing. Designed to lie flat on the lake bed, sink rapidly and blend in unobtrusively. An effective way of reducing tangled hook lengths during the cast. 0.75mm uniform diameter bore makes it easier to thread the mainline. 0.5mm diameter and 0.5mm wall - Perfect for using on your hook to control the position of the hair, or as a stop on safe helicopter rigs. Super-dense Tungsten compound is much heavier than standard sinking rig tubes ensuring it sinks quickly without the need for using additional weights or tungsten putty to pin it down. Ultra soft and supple 'bottom-hugging' formula. The ease of threading braid or mono through this tubing has to be seen to be believed. You can thread, straight through ONE METRE of 0.50mm tubing with 15lb line, without wetting it first. Our Anti Tangle Rig Tube is uniquely manufactured so that it's easy to thread, fast sinking, straightens quickly, ultra-low memory and is extremely abrasion resistant perfect for all fishing environments. Great for reducing tangles with your rig when casting. As fish safety is a priority the Taske tubing will also prevent damage to fish scale. Excellent concealment on lakes and rivers.